Amazon announced at the annual AWS re:Invent conference in November that Amazon Pay will soon be available to Alexa developers. This is the first formal solution enabling third-party developers to monetize Alexa skills. The program today is limited to five Alexa skills, but will soon be available to other developers. It will start only with the ability to sell digital goods for one-time or subscription purchases. Voicebot caught up with the editor of Multiplex magazine and voice commerce expert Brian Roemmele to get his take on the upcoming changes. What was you initial reaction to Amazon’s Alexa voice commerce announcements at re:Invent? Brian Roemmele: This is a very strong and positive move for Amazon and the entire developer ecosystem. Monetization is the most import aspect of sustained development of skills over time. It will also qualify utility for the user. There is a correlation between a user paying for an app and using the app more often, from my research at the iOS App Store. This is very likely to transfer to skills. Thus, it has a great impact on usage and reuse. It will also likely help edit the less useful skills from surfacing high in the recommendation lists. On a more pointed insight, this is a clear confirmation that Amazon Pay will become a central part of Alexa voice commerce. With the use in physical products like Food ordering, Amazon Pay is on track to displace other payment processors over time. This is an issue I have spoke to in detail publicly and privately. There are things every payment company needs to do today to stay relevant for voice commerce. Amazon is starting with digital goods monetization first and not physical goods. Google Assistant has rolled out tools for monetizing physical goods sale and not digital goods. What do you think about the strategic decision to roll out digital or physical goods voice commerce first and how it reflects on Amazon’s and Google’s strategy? Roemmele: There are different philosophies at play on each decision. With digital goods, this is primarily designed to support developers and some businesses to monetize the skill like an app; usually, where the skill is the service. In the case of physical goods, this is designed to support full voice commerce. This will break down to retail like restaurants and online sales like Amazon and other merchants. In each case, Amazon Pay is rapidly moving to become the de facto system on the Alexa platform, although I see a path for other payment companies if they “get it” very fast. What about Amazon Pay most intrigues you? Roemmele: Amazon Pay can allow for instant payments with no need for the user to log in and/or verify card numbers. Thus it allows for a smooth, barrier-free transaction. This is paramount for voice commerce to be pervasive. It makes the one-click experience for voice happen. Do you see this as similar to when eBay integrated PayPal to reduce transaction friction or is something more going on here? Roemmele: Indeed in some ways it is exactly like PayPal/eBay. 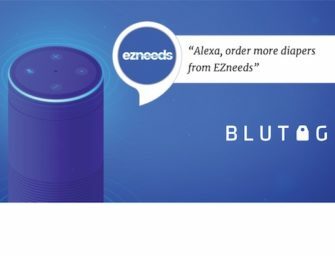 In other ways it is like the invention of 1-click [purchasing] by Amazon because voice commerce via Alexa/Amazon Pay is the fastest way to order known items. It is very powerful for retail transactions. From the app/skill side, it is equal to how Apple built a seamless process in the iOS app store. Do you think this is the first step in an Amazon strategy to provide additional financial services such as banking? Roemmele: Indeed, 100% certain. Not only for consumers but for merchants and developers selling on Amazon platforms. In what year do you think Amazon will expand into banking? Roemmele: I do not think they will open an official “bank” in the next few years. But, I think we will see deeper credit granting in 2018.